Retired NFL quarterback, Don Majkowski, nicknamed "Majik Man", was born on February 25, 1964 in Depew, New York. 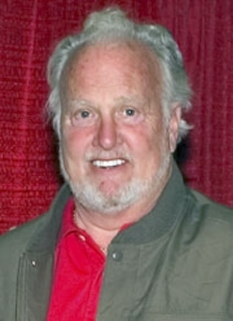 Majkowski played football for the Green Bay Packers, Indianapolis Colts and Detroit Lions. 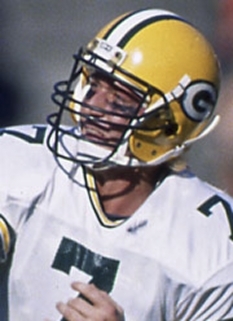 Don Majkowski was the Packers’ 10th round draft choice in 1987 and in just two short years, Majkowski had the kind of season (1989) that many quarterbacks only dream about. He led the NFL in passing yards (4,318), was named runner-up to Joe Montana for league Most Valuable Player honors and was named to the Pro Bowl and to the All-Madden Team. That season, Majik led the Packers to a 10-6 record, only to miss the playoffs on the last day of the regular season. 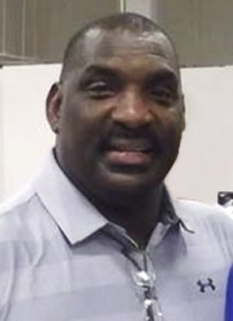 Majkowski's success was cut short when, in the 10th game of the Packers' 1990 season, Majkowski was injured when he was upended and tackled on his shoulder by Freddie Joe Nunn. Nunn drew a personal foul on the play. At first thought to be a bruise, Majkowski's injury turned out to be more serious, a torn rotator cuff. The Packers finished the season using backups Anthony Dilweg and Blair Kiel. 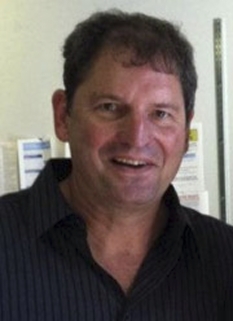 During the course of the 1991 season, Majkowski was benched and replaced by Mike Tomczak as starter, but resumed starting duties at the beginning of the 1992 season. 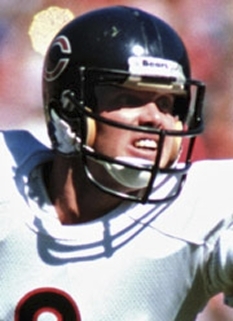 On a play on September 20, 1992 against the Cincinnati Bengals, Majkowski tore a ligament in his ankle. He was replaced after the play by Brett Favre, who completed the game, and started in every subsequent Packers game through the 2007 season. 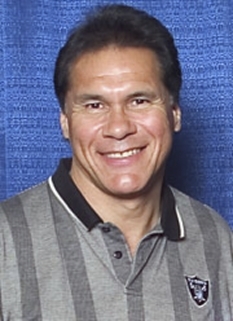 Majkowski left Green Bay after the 1992 season. He signed with the Indianapolis Colts as a backup for two seasons. 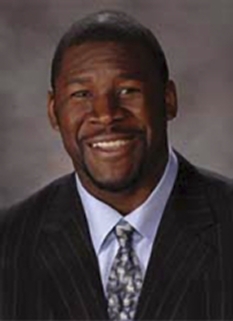 He finished his career for the 1995 and 1996 Detroit Lions also in a backup role. In his final season Majkowski faced Brett Favre and the Green Bay Packers in November completing 15 of 32 for 153 yards and a TD. He was also sacked 5 times. His final game ever played was in Detroit vs Seattle. He completed 18 of 23 (78% completion percentage) for 157 yards and 1 TD. His quarterback rating was 91.5. 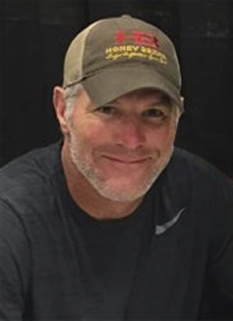 Currently, Don Majkowski lives with his wife Kelly and their two children, Danielle, and Bo Cannon in suburban Atlanta where Don runs a real estate business. He is also carving out a second career, returning to football as an analyst and commentator. Extremely popular with Packer fans all over the country, Majkowski has formed the Majik Network for which he provides expert analysis on the Packers and the NFL to radio and TV outlets across Wisconsin and around the country. Majik can be heard regularly on WSSP SportsRadio 1250 (Milwaukee), WDUZ 107.5 and 1400 The Fan (Green Bay), ESPN Radio 1070 (Madison), WDEZ 101.9 (Wausau) and 99.9 WIZD (Stevens Point). He also appears frequently on the Sunday Packer Blitz television sideline and studio post-game shows on Fox 6 (Milwaukee) and writes a pair of weekly columns for Packers.com, the team’s official web site. 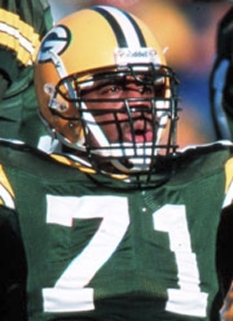 In addition, Don is currently producing and narrating an exciting new series of 60-second radio vignettes entitled “Majik Moments in Packer History” featuring interviews with the Green and Gold’s most memorable players. During the 2004 season, fans were able to regularly catch Majik on WSAU-AM 550 in Wausau. Don was also a frequent television guest on “Pack Attack” on WAOW-TV 9 (Wausau) and occasionally contributed sideline reports for WITI- TV Fox 6 (Milwaukee) and WLUK-TV Fox 11 (Green Bay). On the national scene, Majik has been featured in a broad cross-section of media including the New York Times, ESPN 2’s “Cold Pizza,” NFL Network, Sporting News Radio, Chicago Tribune, ESPN Radio and Fox Sports Net. DISCLAIMER: PFP Sports Talent Agency does not claim to represent itself as the exclusive agent for Don Majkowski. PFP Sports Talent Agency is a booking agency that represents organizations seeking to hire pro athletes and sports personalities such as Don Majkowski for speaking engagements, personal appearances, product endorsements and corporate entertainment. Fees on this website are estimates and are intended only as a guideline. Exact fees are determined by a number of factors, including the location of event, the talent’s schedule, requested duties and supply and demand. PFP Sports Talent Agency makes no guarantees to the accuracy of information found on this website and does not warrant that any information or representations contained on this website will be accurate or free from errors. We are often asked how can I find out who is Don Majkowski's agent? To find Don Majkowski appearance fees and booking agent details, you can contact the agent, representative or manager through PFP Sports Talent Agency for speaking fee costs and availability. PFP Sports Talent Agency can help your company choose the ideal sports personality for your next marketing campaign. To hire Don Majkowski for an appearance, speaking event or endorsement, contact Don Majkowski's booking agent for more information.